← Major Online Referral Service Swipes My Photo! Sometimes the best part of my job is the satisfaction gained by significantly improving a patient’s quality of life. 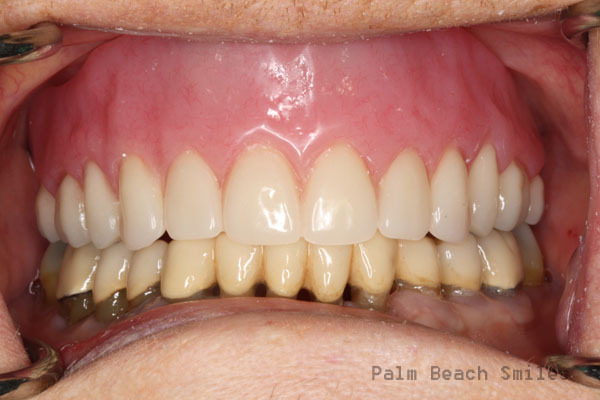 This patient is in her mid 70s and has a host of health issues and difficulty with her upper denture (opposing natural teeth). 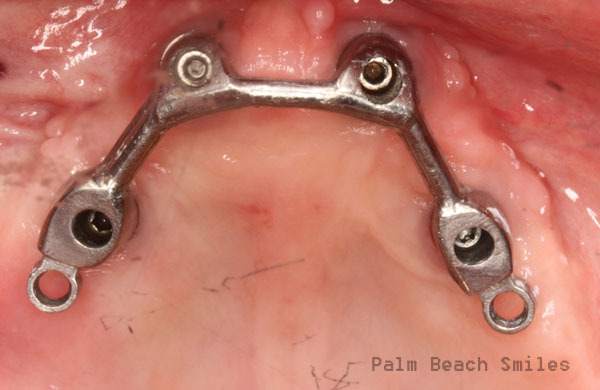 Her upper arch is quite flat… small ridge with a shallow palate, requiring the use of adhesive. And, we all know how well that (doesn’t) work. This blog post isn’t going to be a comprehensive case presentation. It’s just a quick demonstration. 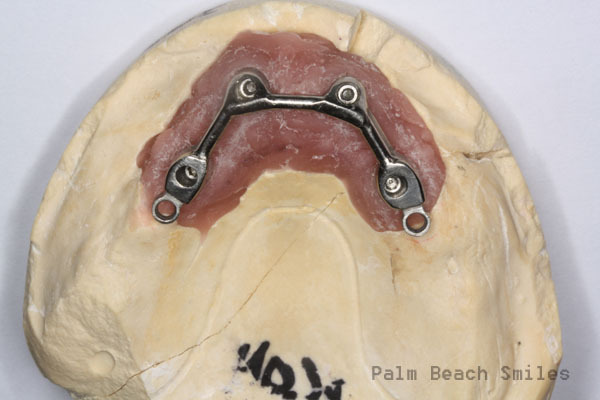 Most of us don’t get to do many implant-bar dentures. But, holy cow… the retention is outstanding. 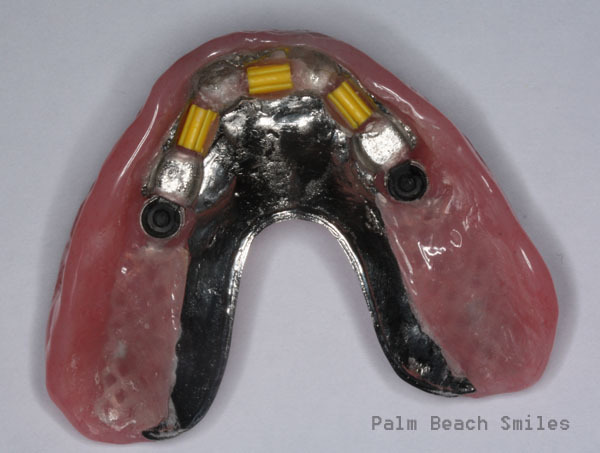 To take a patient from a loose upper denture that causes constant embarrassment or fear of embarrassment…. 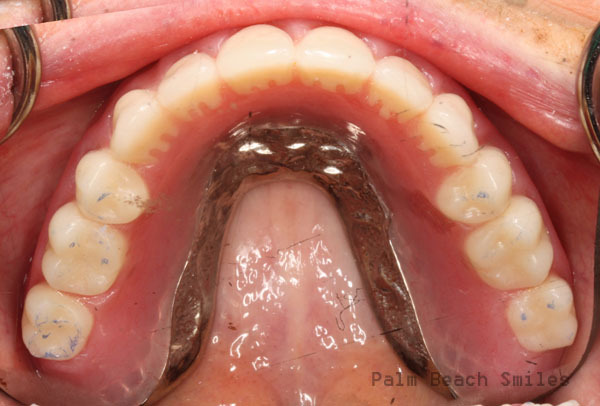 to ultimate confidence about her teeth… is just the coolest thing I can think of doing in my practice. That’s not to mention she’ll be able to sit at the table without having to think about what she can or can’t eat. This patient is going into major surgery next Tuesday (facing a long recovery) and was anxious to have this done (and over with). So my lab did a great job of cranking this out in time. Without further ado…. some pics! 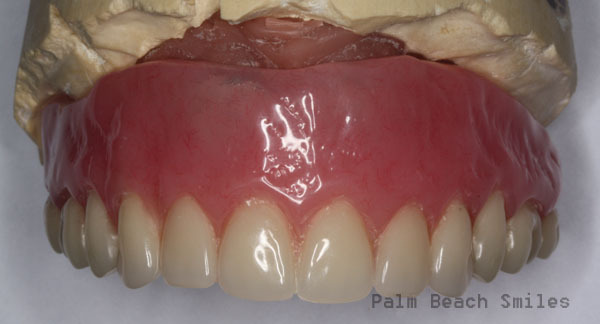 This entry was posted in Case Presentation, What Happened Today and tagged case presentation, dentures, hader bar, implants. Bookmark the permalink. Wow, nice work! I think this type of case is every restorative dentist dream to attain too. Was this a team approach with perio/oral surgeon and you as restorative and a rock star lab tech combo or did u also do the placement? Cool Mike. I am excited/nervous about a case I have coming up. EXTREME GAGER. She has most of her teeth but lots of root tips, massive decay. 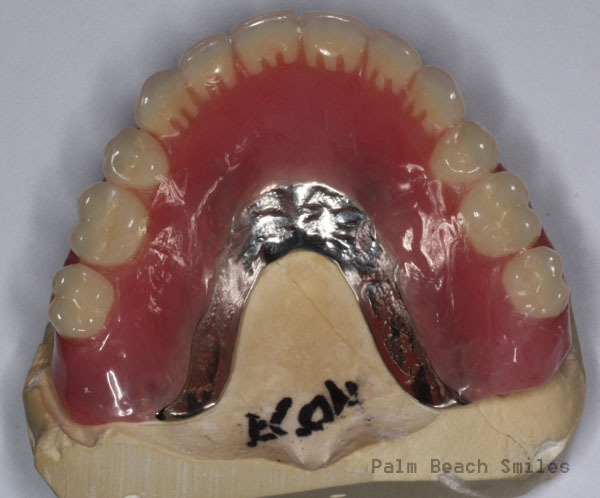 She is wanting upper and lower implant dentures. But she does not want an upper palate. She got a 3D scan at my OS. Me and the OS are going meet and review the 3D scan. 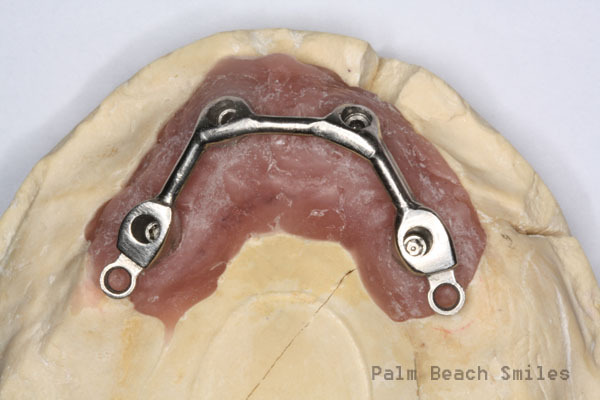 He is going to see if Simplant software can make a custom surgical guide and we can get a bar milled before surgery. 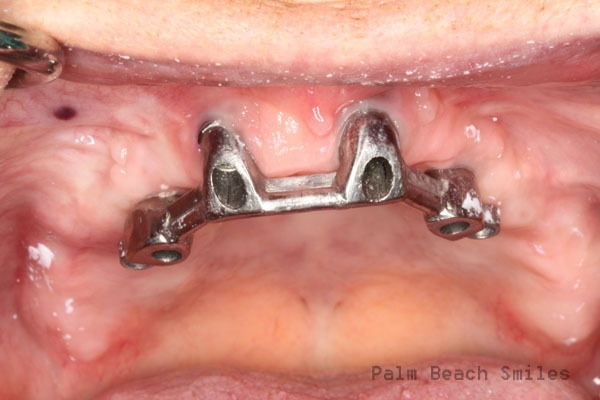 Patient does not want a fixed upper and lower. She wants to take out her denture at night. Thinking upper bar of some sort and we may try ANKYLOS SynCone immediate load lower. Monday I get to see if I can even get alginate impressions on her. Trashcan will be right by her side. Try the salt on the back of the tongue trick. It does help. Maybe throw in some Cetacaine spray to the back of the throat.